Raise $15,000 to cover 12 months of maintenance costs (approx $1,200 per month) at one of the three family-style homes that Casita Copan operates for abandoned children in Copan Ruinas, Honduras. This particular project will focus on the home of Zoila, who has made a commitment to be the permanent foster mom of five children ages 6 to 11 – Maria, Jesus, Estrella, Alex and Rosario – and live at the casita with them until the youngest one turns 18. While Zoila was offered two days’ a week off, she has chosen to work full-time, 7 days a week – just like any other mom. 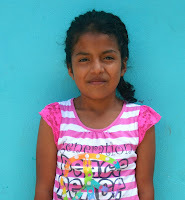 Her own mother, Juana, is a foster mom at one of the other casitas. The three homes opened in July 2014 and cost about $15,000 a year to maintain, roughly $1,200 a month, which includes rent, utilities, maintenance, food, water, medicine, salary for Casita mom, school fees, and weekly visits with a psychologist.· Two of the casitas have four children living in the home, and one has five. There were a number of sibling groupings living at the former orphanage Angelitos Felices (closed down in July 2014 by the Honduran government); these children continue to live together in the same casitas. Each casita has a permanent foster mom who lives at the home and participates in all the activities that any mom might do for her children. The children are in their casitas on weekdays from 4 pm, Saturdays from 1 pm, and all day Sunday. 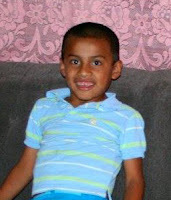 On weekdays they go to school and then to Casita Copan (the main center) for tuoring, special activities, etc. This approach gives staff a chance to check how they are, address medical needs, ensure sessions with our psychologist, etc. The Casita model blends the best aspects of permanent foster care with the oversight of a children's home. Specifics on the casita run by "Mami Zoila"
Zoila is from Nueva Esperanza, a small rural community on the outskirts of Copan Ruinas. A middle child in a family of 6 children, Zoila always helped out at home by taking care of her siblings and later her nieces and nephews. Though she loves children, she never wanted to get married because (in her words) she "didn't want to work for a man." She started working at Casita Copan in 2012 and the kids immediately bonded to her because of her calm, affectionate nature and her infectious smile. When the Casitas opened in July 2014, she was the first person the organization asked to be a Casita mom - a serious commitment since she was asked to care for the kids in her care until they turn 18. 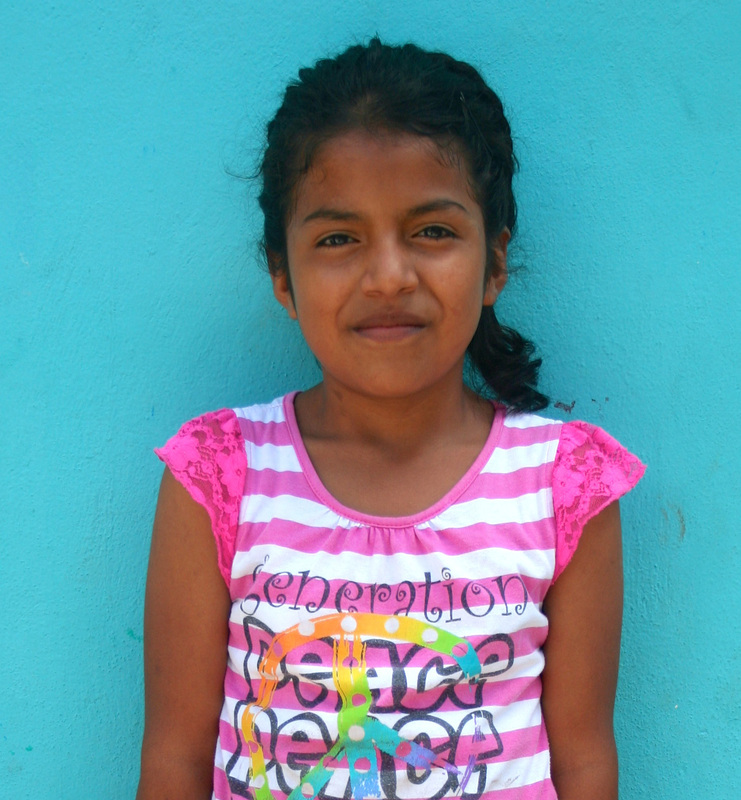 (A 13-year commitment in this case, as the youngest child in Zoila’s casita was 5 when the home opened last year). It goes without saying that the kids love her dearly and all call her "mamá." Side note: She is the daughter of another Casita mom, Juana. Zoila’s casita is a bright, happy place. The walls are decorated with pictures the kids have drawn, and diplomas and certificates from school. All of the kids help out with the household chores and as soon as they get home, they wash their clothes and help Zoila fold the laundry. Some play with blocks on the floor while others go into their bedrooms to relax while they wait for dinner. The children are usually in bed by 8 p.m. On Saturdays and Sundays, they like to get out the puzzles or coloring books and play on the patio, watch movies, go to church, or take a trip to the Mayan ruins. Rosario is 11 years old. Her mother died in childbirth and Rosario's father didn't have enough money to care for her, so he entrusted her to the care of the orphanage "Angelitos Felices." He died a few years later. 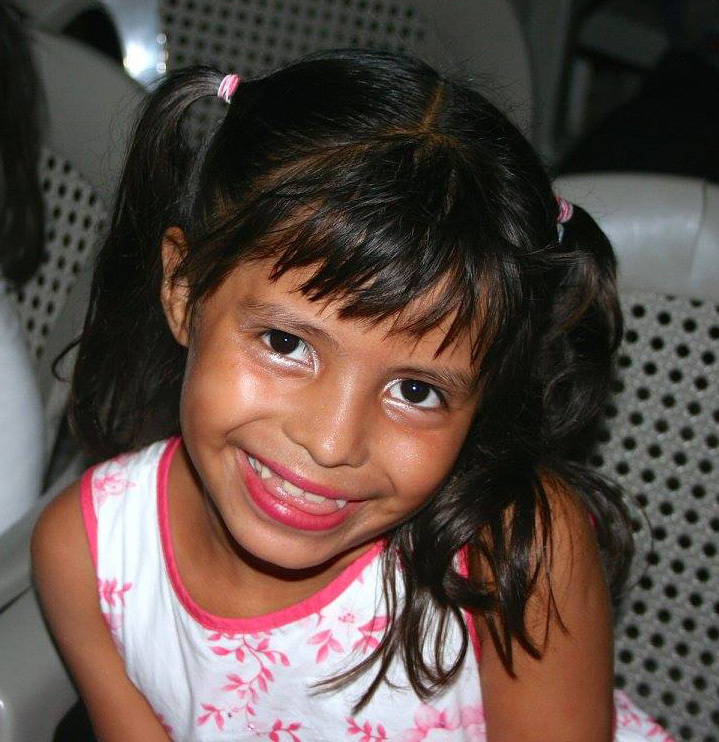 Living on her own at the orphanage, Rosario grew into a fiercely independent, tough, and intelligent girl. The smaller kids looked up to her and relied on her to care for them when adult supervision was scarce. Rosario loves to sing, dance, and draw and really loves to watch music videos. When she grows up, she wants to be a teacher. This isn't surprising since she still loves the role of caregiver and is always helping out the younger kids and teaching them new things. She is going to 5th grade next year. Alex is 10 years old and the brother of Estrella. His mother was just a teenager when she had Alex and the police removed him from her custody because of extreme malnourishment. He entered Angelitos when he was about one year old. Alex is energetic, creative, and very affectionate but still struggles with anxiety. But that doesn't stop him from trying. Right now he is very into dance and has incredible acrobatic skill - he can walk on his hands, do crazy flips, and is starting to learn some basic breakdance techniques. In the past he wasn't sent to school regularly so he is only in 3rd grade, but he is a good student and was elected class president this year. 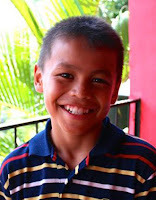 Alex is incredibly helpful to his Casita family and always make sure the others are helping out too. He's still not sure exactly what job he wants when he grows up but he wants to have enough money to build a house where he and his sister Estrella can live. Estrella is 7 years old and the sister of Alex. She was taken into an orphanage when she was a baby because of malnutrition and later sent to Angelitos. She is a born artist. She is inquisitive, thoughtful, creative, and already shows above age level technical skill in her drawings. Right now she's into drawing butterflies, flowers, and animals and she always draws free hand. Estrella is such a sweet and kind girl that everyone likes to be around her and she has made lots of friends at Casita Copan. She just finished first grade and is doing very well so far. When she grows up she wants to be an artist and when she is "medium sized" she wants to be a ballerina. Maria is 6 years old and sister to Jesus. Her mother has severe epilepsy and so she was taken out of her mother's custody by the police and placed into Angelitos Felices when she was about 3 years old. Maria is a spitfire. She is bright, bossy, and has a great sense of humor. She just finished kindergarten and was one of the most advanced among her classmates. Maria loves to be around people and you will usually find her at the center of any game (although she will definitely want to be the one to go first, so watch out!) When she grows up, she wants to "plant flowers all around." Jesus is 9 years old and brother to Maria. When Jesus entered Casita Copan, he displayed severe behavioral and developmental issues and we were very nervous about how we would react in his new environment. While he still loves to be in his own world, he has changed dramatically. He is incredibly gifted and has a remarkable talent for puzzles and math. Even though he often escaped from his 1st grade classroom to play on the swings, he was one of the first in his class to learn to read and he earned a 88% average. Jesus has now become affectionate and respectful with adults that he cares about and trusts and is turning into a wonderful young man. His favorite thing is to make people around him laugh. At his Casita, he is relaxed and helpful. When he grows up, he wants to "fix things" although I think he may end up more interested in computers since that is currently his favorite pastime! Note on Alex and Estrella's birth mom: Mirna has 5 children and his pregnant with her 6th. Only one child still lives with her. She suffered severe physical and sexual abuse as a child and has struggled to maintain a steady job or income. She admits that she never cared for her kids like she wanted to and was sometimes too rough with Alex. She never had a chance to care for Estrella since she herself was malnourished when she had her and didn't have money to feed her. Mirna comes from La Entrada (an hour away by bus) once a month to visit her children now that she has permission to see them. She is shy around them but has the same sweet and helpful personality as her children. 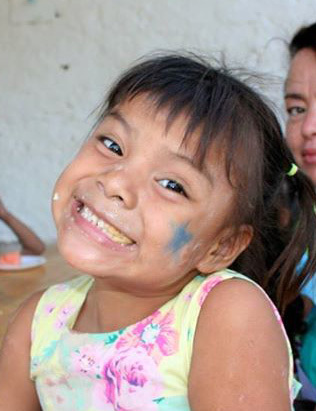 She always helps out at Casita when she can and smiles constantly, just like Estrella and Alex. Note on Maria and Jesus's birth mom: Maria has severe epilepsy that started when she was a child. Casita Copan provides her medication but because of the severity of her condition, she still has seizures and her intellectual development was stunted by the frequency of her seizures and falls. So she often forgets to take her pills and does not maintain a healthy diet which only makes things worse. But Maria loves her children fiercely. She is the only mother that comes to visit her kids every single Wednesday and somehow always manages to bring them food and drinks. She helps them with their homework, draws with them, and always encourages them to behave well and study hard. She would like to be able to care for her children again one day, but her medical condition makes this unlikely. · Just 5 per cent of donations to Casita Copan go to administrative costs.